The RRT Section is divided into the groups Radiation and Reactor Analysis (RRA) and Methods And Code Development (MACD). The primary responsibility within RRT is offering calculational and theoretical support to the SAFARI-1 nuclear reactor and its related activities. RRT regularly hosts training workshops on dedicated computational code packages. This photo was taken during the April 2018 training workshop on the thermal hydraulics code RELAP. In line with the above, RRT continuously improves and develops the OSCAR reactor analysis code system for reactor analyses. The next generation of OSCAR is currently being developed by RRT, with the first planned release to national and international interested parties in April 2019. OSCAR-5 is a reactor calculational platform providing multi-code, multi-physics support for research, power and high-temperature reactor analyses. This code system will provide state of the art and innovative methods for reactor analyses. The capabilities of OSCAR are well in-line with international best-practice and novel work within the field of method and code development is ongoing in RRT. In this regard, some important projects include the development of time-dependent solvers in OSCAR, improvement of the OSCAR nodal solver, the coupling of the OSCAR nodal solver with state of the art thermal-hydraulics codes and the development of high performance, massively parallel full core transport solution methods. 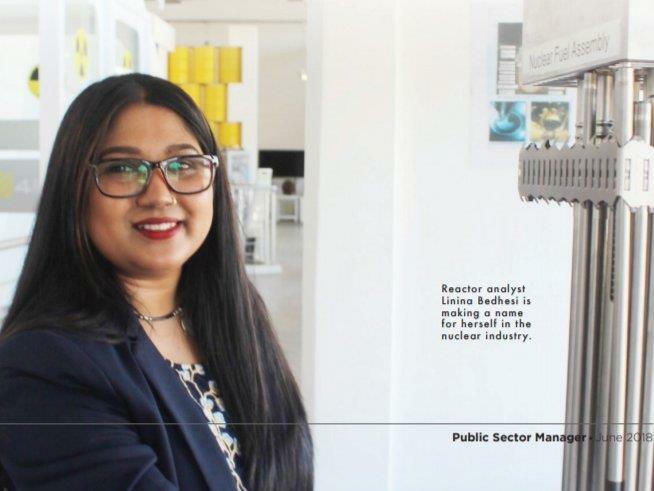 In June 2018, Linina Bedhesi was featured in the magazine Public Sector Manager, as a young nuclear professional. The in-house developed OSCAR code suite is a nodal diffusion based calculational system, which has been used over many years for research reactor analyses. Version 4 of the system is primarily used to support the operation of SAFARI-1 but is also applied at various other international research reactors such as HOR (at TU-Delft, the Netherlands), HFR (at NRG, the Netherlands) and MNR (at McMaster University, Canada) as a reactor analysis tool. 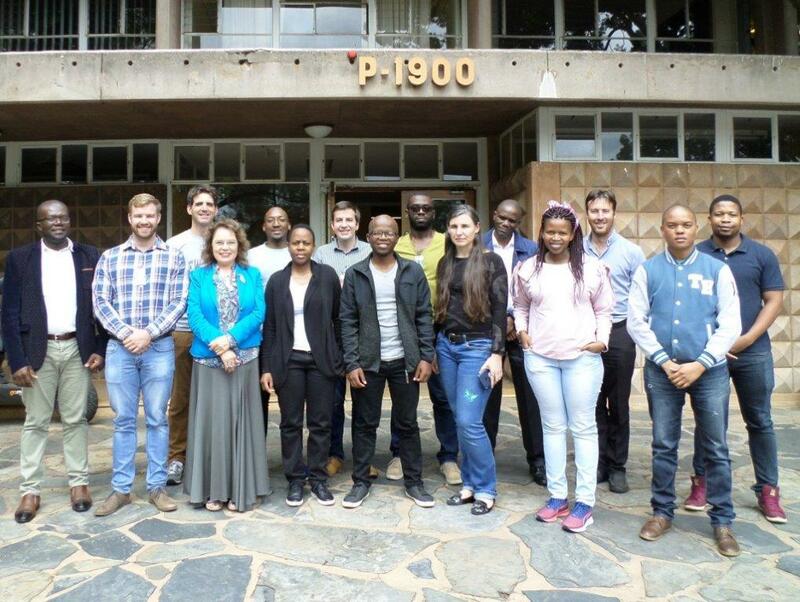 The OSCAR code suite, developed at Necsa, South Africa, is a nodal diffusion based calculational system, which has been used over many years for research reactor analyses. OSCAR stands for the Overall System for the Calculation of Reactors. Version 4 of the system is primarily used to support the operation of the SAFARI-1 research reactor at Necsa, South Africa, but is also applied at various other international research reactors, such as HOR (TU-Delft, the Netherlands), HFR (NRG, the Netherlands) and MNR (McMaster University, Canada) as a reactor core-follow and core reload design tool. The OSCAR-5 system aims to allow for multi-code, multi-physics support for reactor analysis, with the primary aim to allow the use of fit-for-purpose tools in support of reactor operations. This implies finding a balance between the nature of a specific calculational application and the level of detail and fidelity utilized in achieving the result. The OSCAR-5 system is built around the concept of a code-independent, consistent reactor core model. This model is deployable to an extendable set of integrated target codes and manages the passing of data between these target codes. Currently fully coupled to the system is our in-house OSCAR nodal package, Serpent and MCNP. To better serve the nodal package, OSCAR-5 also introduces a number of improvements to the front end of the calculational path. This includes additional lattice code options and a theoretically consistent step by step approach to move from a detailed heterogeneous model to an energy condensed homogeneous model. The system gives feedback at each step, to help the user improve the nodal model and to quantify the final error estimate associated with the model. The OSCAR-5 package includes an extensive user guide and tutorials which cover multi-code applications to analysis scenarios such as detailed flux analysis, core-follow analysis, reload and core design calculations, as well as equilibrium and core optimization analysis. A constantly growing database of research and power reactor models is also distributed with the code, to illustrate the way in which the system can be used to model various plant configurations and how the multi-code approach allows for powerful and synergistic reactor modelling support. In the OSCAR-5 Release and User Group Workshop (planned for April 2019) the next generation OSCAR system (termed OSCAR-5) will be released with the aim to respond to the challenging demands of the modern reactor analysis environment. In 2010 the OSCAR-4 development team received the prestigious National Science and Technology Forum (NSTF) award in the category of research for innovation. In 2014 Dr Djordje Tomašević was awarded a certificate of outstanding contribution in reviewing, for the journal Progress in Nuclear Energy. In 2015 Mr Saymore Chifamba, then graduate student at University of Johannesburg (UJ) who was supervised by RRT members, received the prestigious Chancellor’s Medal for the best Master’s student in the faculty of science at UJ. In May 2010, the OSCAR-4 code development team won the prestigious NSTF (National Science and Technology Forum) award in the category of Research and Innovation. 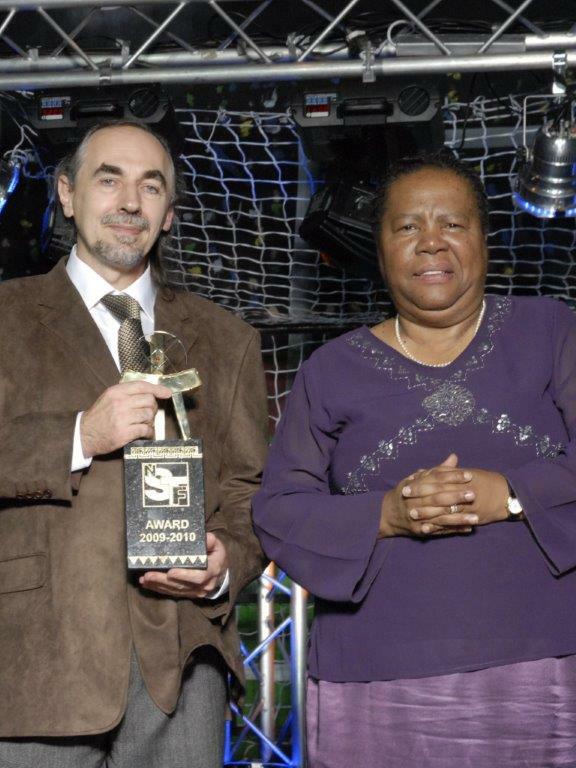 The photo shows Dr Djordje Tomašević receiving the NSTF trophy from the Minister of Science and Technology, Ms Naledi Pandor, on behalf of the OSCAR-4 team (which he leads).